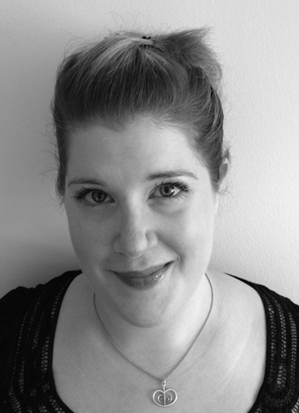 In 1997, Jessica realised her passion for nails whilst studying for her NVQ in Beauty therapy. Nails gave her instant results and are a great area for her creativity. 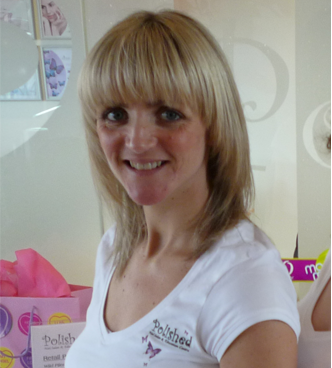 A salon and academy owner, Jessica has a wealth of experience running and working within salons and in 2005, she opened ‘Polished’. The salon has become very successful with a number of employees over the years. Jessica can empathise with the highs and lows of running your own business, providing continual support to her students. Education within the industry is very important to Jessica and in 2001, she joined the EzFlow team. Perfecting Pink and White application and design nails allowed Jessica to expand and grow within her career. As a Master Artist educator, she is now the longest standing EzFlow UK educator, Jessica works well in a team and loves to inspire and encourage her learners. With great communication skills, she has learned to adapt too many situations. National competition winner and International judge, Jessica has continued to achieve placing first twice and third in a range of different categories, from acrylic and fibreglass to photographic. Working closely with colleges, Jessica regularly supports them with their end of year shows judging and mentoring the entrants. As a session nail tech Jessica has had the opportunity to work at London Fashion Week and events for Vogue’s Fashion Night Out, John Lewis and Jaeger. As lead stylist of the Original sugar artistic team, Jessica has worked with the Daily Express and Woman’s Health Magazine, working with renowned photographers, such as Malcolm Pate. Creating new Original sugar manicures, such as the Tutti Frutti look featured in Beauty Salon News. Working alongside the EzFlow UK team, Jessica has provided the nails for the winners’ nails in the Miss England contest and has been part of the rebranding of EzFlow, creating one of the core images for the 2012 new look. Over the years, she has contributed to trade press; including Beauty Salon News and Scratch magazine, offering articles, step by steps and having her work featured. 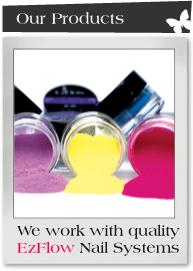 She was runner up for Professional Nails magazine Nail Technician of the Year in 2005. Jessica has also been interviewed for BBC Radio 1 Extra on good and bad working practice in nail salons. Working alongside brands such as Nails and Co. and Creative Ten, Jessica has be instrumental in producing a new training program for nail art, air brushing and electric filing. Jessica has also become part of the first Be Creative education team in late 2012, giving nail art training with Be Creative products. Creating a stronger industry through education is one of the key aspects of Jessica’s career. She endeavours to continue to support her colleagues and her students to achieve this goal. 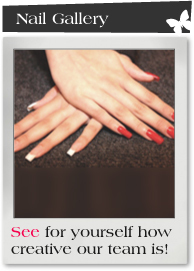 She specialises in EzFlow acrylic nail enhancement and is our 'Pedicure princess!' Becky also offers Boogie nights Glitter nails, for that touch of sparkle and she loves the new TruGel permanent polish treatment for both hands and feet.